On Thursday afternoon, the coaches of the Big Sky had a conference call with various members of the media, and I was fortunate to be a part of it. If you are interested in hearing the interviews, check out Big Sky's website, which has a link to each coach's segment. - On the loss of Damian Lillard last year, he said the team, "Had to figure out how to play without him and that made them better players." Speaking for me personally, I have a feeling that the loss of him will help them a lot this year, as a lot of guys had to step up. - In speaking about Lillard this year, he said the injury was a little bit of a blessing in that it was kind of a redshirt year for him. He said that Lillard studied a lot of film, and put on about 5 pounds of muscle. He also did a lot of plyometric work which should help his explosion. He said that Lillard will be more physical this year. 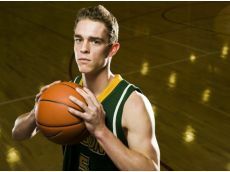 - He talked a little about Northern Colorado, saying that he likes their talent, and thinks that they will be very competitive when the new guys get comfortable in their roles. - Gidal from Blue & Gold asked him if the Hornets would use the fact that they were picked 8th as motivation, and Katz said, "If you need that for motivation, you are in the wrong business." He said that he did not even know where Sacramento State was ranked in the polls. - He said the goal of the team is simple - get better everyday. - A couple newcomers stuck out to him as being ready to have an impact. One is Dylan Garrity, who he described as "real talented, really skilled, really can shoot it." 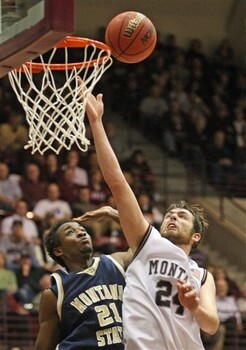 He also was high on JUCO Joe Eberhard (who had 20 points in their exhibition win) and transfer Konner Veteto. - He expects John Dickson to step up this year, and said he is stronger, more versatile, and just better than he was last year. 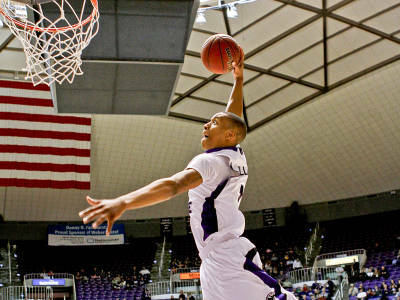 - Katz believes that what makes Weber State and Montana the two best teams in the Conference is that they have returning experienced players that have had success in the Big Sky. He said he returns some good experience, but not guys that have had the level of success that those two teams have had. - O'Brien believes that his team is more experienced than people think, with a lot of guys coming off redshirts. He expects the team to be 8 or 9 deep. - He talked a little bit about Jakub Kusmieruk and how the offensive philosophy changes from when he is on the floor and when he is not. He said when he is on the floor obviously they will go big, but when he is off the floor we might see some 4 guard looks. - He talked a bit about Melvin Morgan, saying that he is very talented, and the only question on him is how long it will take him to adjust from JUCO to Division I. He said that Morgan can score and is the best passing PG that O'Brien has had in his tenure. He also talked about the different personality of the team, and Morgan's role in that, calling him a "tremendous person" and "great personality." 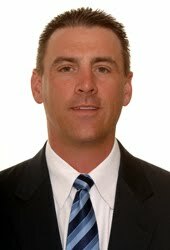 - He talked about the JUCO guys, and how they have jumped in well offensively which will make the team more dynamic than a year ago. But, he said the key will be how they all adjust defensively. - He talked about how there is a new feel to the team with all of their personnel losses, and it is "exciting to see how these guys mesh." He talked about the team sharing the basketball and playing together well. He also said that the losses of Rush and Howard and addition of so many new guys will make the team more diverse and balanced this year. - He talked briefly about Northern Colorado, and their talent on the perimeter, meaning they are someone that we should not sell short. - Tinkle said that having experience back is key, especially at the end of the season, having guys that have played in championship games over the past couple years. But, he said there is a lot of work to do between now and then to be able to put themselves in the position to use that experience. - He talked a little about the freshman, especially Kevin Henderson, saying that he has shown himself to be a nice offensive weapon because he is athletic, shoots well, and can get to the rim. He has also shown a willingness to defend. He is not sure which, if any, freshman will be redshirted. - He said he is not going to try and take away the outside game of big man Derek Selvig, who was one of their better outside shooters last year. But he did say that Selvig has worked hard on his inside game and on getting stronger, and Tinkle liked how he had put focus and attention on being down by the basket. - Hill said that he is excited that they have brought back guys that know what's expected of them and what it takes to win a title. He needs his guys to step into new roles, which can be difficult. - Like Brian Katz, he said that most guys are not motivated by preseason polls. Maybe a couple of them, but for the most part he doubts anyone is paying much attention to it. - He talked a little about Connor Osborne, who sat out last year with an injury. He said they are working on getting him into game shape. Osborne is very strong and could give UNC a presence that they had in the past, in terms of a guy that can score and draw fouls down on the block. - Coach Adras dropped perhaps the most interesting nugget in this whole call, saying that the doctors who performed surgery on Gabe Rogers expect him to miss up to four months of action, though the trainers are hopeful that it will only take three months. He had surgery October 10th for a torn labrum. If the trainers are right, he could be back early in conference play. If the doctors are right, he will miss most of the season. Adras did not sound particularly optimistic. - He said that they are still looking for who is going to replace Cameron Jones, and said it will be more of a committee approach. However, nobody among the committee has stepped up, as there has been a ton of inconsistency among the young guys. Some guys have shown glimpses, but nobody has done it on a day in and day out basis. - The one position Adras feels comfortable about is at PG, where Stallon Saldivar returns and newcomer James Douglas has arrived. Saldivar led the Big Sky in assists last year and is the stabilizing force. Douglas, on the other hand, brings a different dynamic to the PG spot, as he is more of a scorer. Adras sounded very high on Douglas. - Geving believed that last year the team was better than their record, as they were hit a bit by the injury bug. 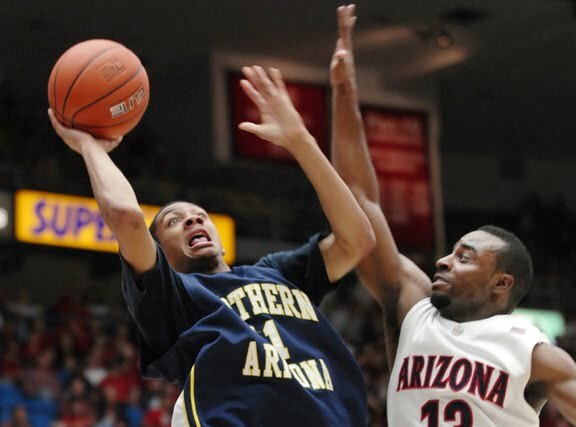 In particular, they went 1-5 when Chehales Tapscott went down, a guy he believes could be an All-League player. 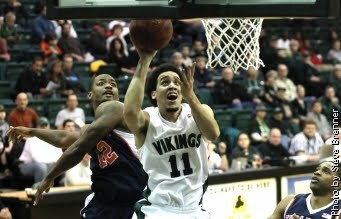 - The mindset of the Vikings has been better this year, knowing that they are eligible for the Big Sky Tournament again. He said that last season became a bit of a grind come February, because the guys knew that there was no chance of continuing the season. - He likes a starting lineup of Lateef McMullan, Charles Odum, Michael Harthun, Tapscott, and Nate Lozeau. Then Renaldo Parker will be eligible in the second semester. So even though there are a lot of newcomers, he believes at least 6 of his first 8 are guys that have been in the program and have experience in the system. - Hayford said the biggest difference between Division III and Division I is that at this level he has three assistant coaches, compared on one at the lower level. - He hasn't looked too much at his conference opponents yet, and didn't have a lot to say on the league as a whole. He didn't sound enthused about how difficult EWU's non-conference schedule is, but said he was still excited for it, as it will quickly show the team's strengths and weaknesses. - I asked him about his system and the style of play he wants to have, and he said his system is all about "percentage and possession." His teams have typically been high-scoring, but not necessarily because they play a fast tempo. He preaches efficiency and wants to make this an efficient basketball team by shooting high percentages and limiting turnovers. 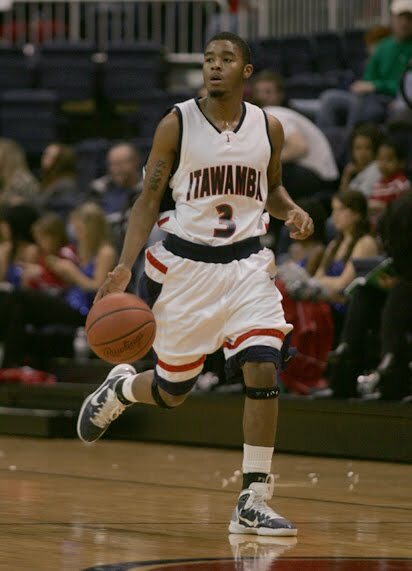 His team last year was best in DIII at limiting turnovers. Anything stick out to you as being particularly interesting? How about Joe O'brien at ISU instead of Jim? However, you may be able to see the future and are picking up the first name of the "soon to be named" new head coach (which ISU desperately needs). Good catch!! Silly me for trying to type too fast and not proofreading well enough!! Interested to see how EWU's season play out this year. Big expectations in Cheney. 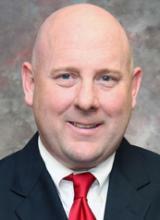 The fact Coach Hayford comes from Division lll Whitworth won't hinder his success at EWU. He will need some time but he has had a good start off the court and it won't be long till we see some on court success too. He has some talent coming back from our previous coach and he kept one of the assistants on staff so there's optimism in Cheney. Tough preseason schedule but once Big Sky play starts in late December the team will be ready to compete for a spot in the Big Sky tourney. Maybe even a home game in the tourney, which would be great for the fan base. Lot of empty seats at Reese Court last season.